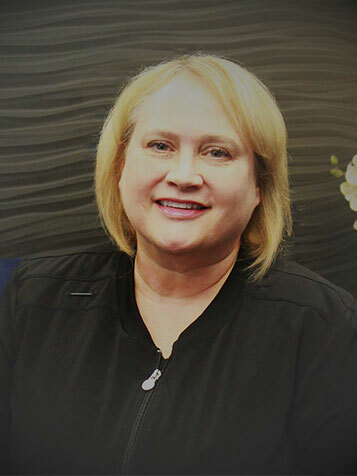 Hi, I’m Dr. Wendy Weimer, and I’m glad you’ve stopped by to get to know a little more about me and you’re interested in improving or maintaining your oral health. I enjoy every aspect of dentistry; this is why I chose to be a general dentist, and I am excited to help people and make their lives just that much better. I’ve been practicing for 13 years and was a dental assistant for eight years before I went to dental school. I’ve always known I wanted to be a dentist, at least since I was 13, because I always loved going to the dentist and wanted to see how all the equipment worked. I’ve been married for 19 years and have an 11-year-old son who keeps us very busy! We also have a dog, Han Solo (yes, we’re “Star Wars” nerds), and one cat, Cleo. When I’m not at work I can be found outside in the garden or anywhere near the water. I enjoy doing arts and crafts, and reading a good book. I’m also very active in the legislative arm of the Missouri Dental Association, with whom I advocate for the issues that face dentists and our community. I volunteer for our school district’s “BackSnack” program, which provides food to children that may not get enough food at home. I feel it is very important to be active in the community and to give back. I am extremely proud to be a part of the dental profession. Oral health is a vital part of our overall health and I love being involved in helping people increase their well-being. I’ve worked hard to get where I am, but it’s all been worth it, since I get to help and meet so many interesting and amazing people every day. I hope you’ve enjoyed getting to know me a bit better. If you’re thinking about where you’ll be getting your dental care, please consider coming to our outstanding practice. I look forward to meeting you!